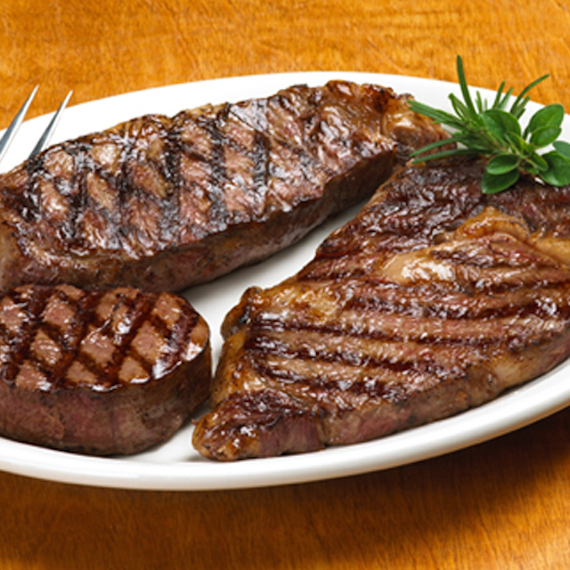 Cut from the heart of the loin, boneless strip steaks have fine marbling and a hearty flavor. Cut from the center portion of the tenderloin, filet mignon is the most tender and leanest of all steaks. Cut from the eye of the prime rib, our boneless rib eye steaks have just the right amount of marbling to give you the most juicy and flavorful steak. All our steaks are USDA Prime Certified, so you know you're getting only the tenderest, juiciest of steaks.